High Peaks Pure Earth has resurrected a blogpost titled “Sorry” by a Tibetan blogger, originally posted in December 2008 on TibetCul, that pays tribute to Norzin Wangmo (Nor ‘dzin dbang mo), a Tibetan woman in her thirties who was sentenced to 5 years in prison in 2008 for sending emails and making phone calls abroad. High Peaks Pure Earth readers will be familiar with Norzin Wangmo’s case through the writings of her friend, the singer and intellectual Jamyang Kyi. 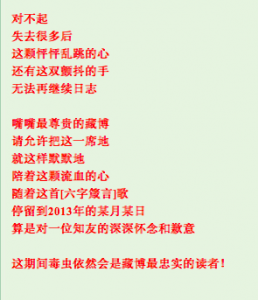 In November 2008, High Peaks Pure Earth published translations of Jamyang Kyi’s heartfelt blogposts that were letters to Norzin Wangmo. 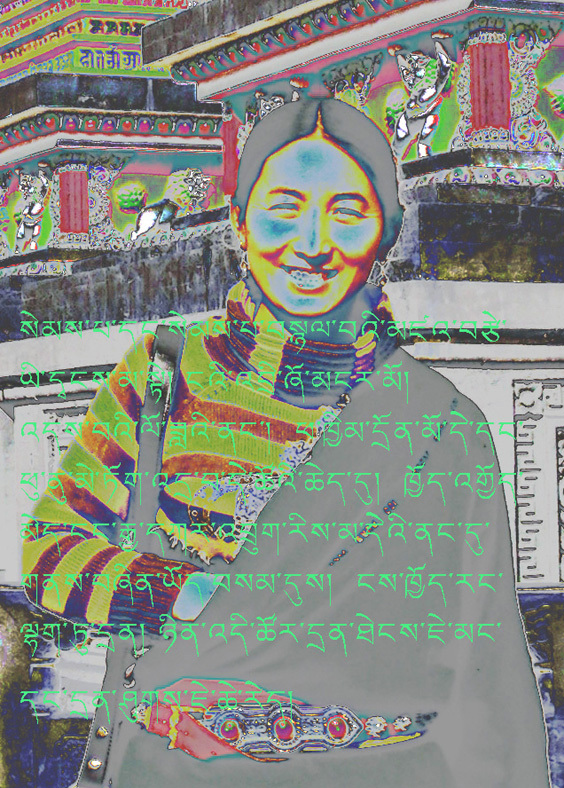 In June 2009, Jamyang Kyi wrote her third letter to Norzin Wangmo in which she wrote, “Dear friend, it has been a year and two months since your arrest. 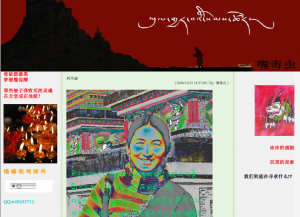 There is not a single day that passes by without my missing you.” Sadly, that was also the last blogpost by Jamyang Kyi translated into English as the site where her blog was hosted http://www.tibetabc.cn/ was closed down. It seems that the Tibetan cyberspace is indeed written in ink and not in pencil, just last month High Peaks Pure Earth published a translation of a petition letter to the state originally written by Tibetans in April 2008, was quickly censored but then resurfaced on blogs in October 2010 and was censored again. Another example would be the many blogs of Dolkar Tso whose posts were censored but quickly saved by Woeser and re-posted on her blog. In “The Perils of Dolkar’s blogs”, Woeser charts all five of Dolkar’s blogs and notes their short lifespans. A friend I keep in my mind, do not despair. My sweet yoghurt … in the past months and years, for the warmth of paternal home and brothers who are like flowers, thinking of you residing at Gyakar Durma without regrets. I remember you. Today, my memory of you is heightened. In this period, I will still remain TibetCul’s most faithful reader! 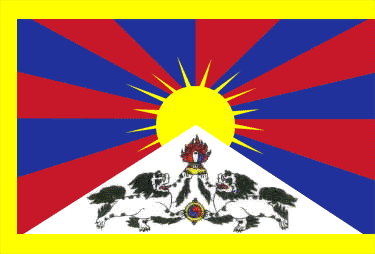 Although the blogpost stayed up on TibetCul for well over a year and was one of the most-read posts, it has since been deleted.